Enric Casals was a Spanish violinist, composer, teacher, and conductor born (in Barcelona) on July 26, 1892. He is now completely forgotten, unlike his older brother, the cello player Pablo Casals. His first studies were with his father. Later on, he studied with a little-known teacher, Rafael Galvez. He then traveled to Brussels where he again studied with little-known teachers: Mathieu Crickboom and Joseph Jongen. I do not know if he ever settled in Brussels. In Europe, travel distances from one large city to another are not great so commuting and setting up temporary residence in any one place for a few weeks just to study is no big deal. From 1910 to 1912 he was solo violinist with the Barcelona Symphony. Casals was now 18 years old. Between 1912 and 1914, he played with the Kurot Symphony in Saint Petersburg. I do not know where he was between 1914 and 1918 – the war years. He moved to Prague in 1918, becoming a pupil of Frantisek Suchy, another little-known teacher. He was 26 years old. I do not know if Casals graduated from any conservatory after his many years of study. By 1920, he was back in Spain. Between 1920 and 1936 he was playing and (sometimes) conducting the Pablo Casals Orchestra. Whether he was the concertmaster or just a section player is anyone’s guess. I didn’t trouble myself with researching that detail of his career. During almost the same time, he also played in the orchestra of the Gran Teatro del Liceo (1924-1935.) It is common practice – even in modern times – for musicians to play in various ensembles simultaneously when scheduling allows it, giving the musician enough playing opportunities to make a living. In 1921, Casals founded the Enric Casals String Quartet and did a lot of touring with the quartet. I don’t know when the quartet was disbanded. It’s possible that the quartet was active until 1940. Casals later devoted a lot of his time to conducting and composing. From 1940 to 1942 he was permanent conductor of the Orquesta Iberica de Concerts and also served as resident conductor of the Orquesta Profesional de Camara in Barcelona for several seasons. Other orchestras which he guest conducted were the national orchestras of Portugal, Hungary, Greece, and Mexico, as well as the famous Lamoureux Orchestra of Paris. He founded the Casals Music Institute and was a director of the Prades Festival (in France) from 1955 to 1983. His compositions include a violin concerto, a cello concerto, and a suite for cello. Casals died on July 31, 1986, at age 94. I am thankful to you for sharing your knowledge with us. You (and the rest of my viewers) are most welcome. Thank you for your comment!!! Truly, thank you! I have known nothing of my great great great grandfather until now! Thank you. 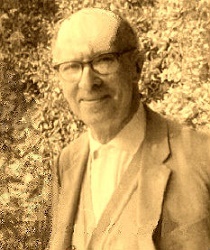 It is indeed difficult to find information on older, historical violinists such as Enric Casals. (Photographs are even more difficult to find.) As outstanding and appreciated as these wonderful musicians were in their time, later generations often forget them. That's one of the reasons I like writing this blog.